Thermodynamics, Publisher: Ostwald's Klassiker der exakten Wissenschaften, Nr. 37. 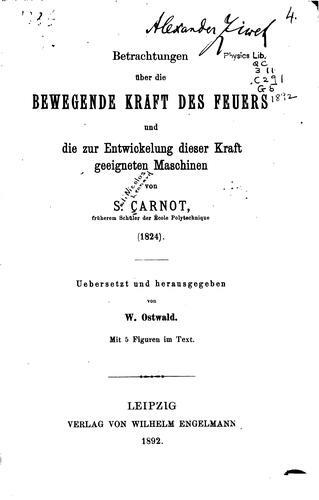 We found some servers for you, where you can download the e-book "Betrachtungen über die bewegende Kraft des Feuers" by Sadi Carnot MOBI for free. The Free Books Online team wishes you a fascinating reading!